The XGK Ex is a multi-fuel stove tested for extreme conditions. It works regardless of weather conditions. It is designed for heavy use and performs well at low temperatures. It is intended to be used by expeditions or on a base camp in the high mountains. Performance is outstanding especially for melting snow. The XGK EX MSR is robust and stable. It is perfect for winter camping, outdoor activities. Its performance is optimal. It is possible to operate with the following fuels: gasoline C, unleaded gasoline, oil, diesel, aviation kerosene. Reliable, XGK EX is easy to clean. Maintenance is feasible in a situation. 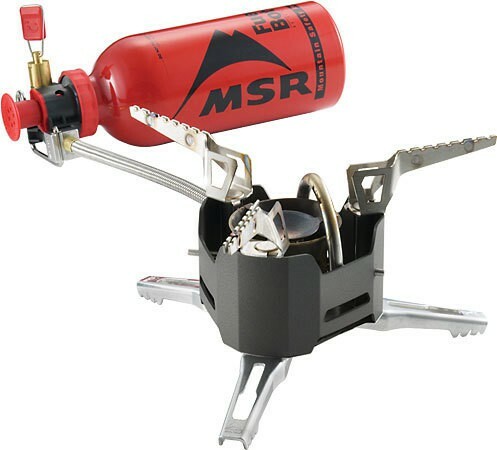 For over 35 years, the MSR® XGK™ stove has been the world's most reliable extreme-condition stove; trusted by mountaineers everywhere. The XGK EX stove continues that legacy with unrivaled performance, dependability and better multi-fuel burning capabilities than any other stove on the market. It features a flexible fuel line that allows it to pack smaller than ever, as well as stable, retractable legs and pot supports, and a powerful flame that melts snow and boils water incredibly fast. No matter where you're headed, with an XGK EX stove along, you’ll find fuel to burn and the absolute dependability that has made it the first choice in liquid fuels stoves on expeditions for decades.